The Sutherland Shire Schools Music Festival is open to all state primary schools in the Sutherland Shire. It is a culmination of music programs and musical achievements in many schools. 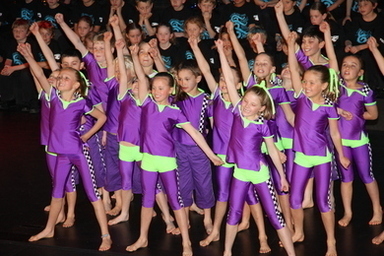 Each year 4,500 primary school students from across the district perform at one of the ten annual concerts. The Festival owes its success to the combined team work of dedicated teachers and administrative staff, supported and encouraged by principals and regional office personnel. Government primary schools in the Port Hacking and Woronora River networks of the Ultimo Education Directorate are invited to participate in the Music Festival combined choirs. The Festival is a celebration of student achievement in music in Sutherland Shire public schools, and aims, not only to showcase the talents of our students, but also to raise the profile of public education in the Sutherland Shire and across the state. The Festival is renowned for its excellence in choral training, for both students and teachers. Ten concerts will be presented, five junior combined choirs and five senior combined choirs. The Festival was founded in 1970, as part of the celebrations for the 200th anniversary of Captain Cook’s landing at Kurnell. One concert was held at Port Hacking High School, where annual concerts continued until 1978, when the Festival relocated to the Sutherland Civic Centre (now called the Sutherland Entertainment Centre). Between 1984 and 1988, the Festival grew from four concerts to nine concerts. 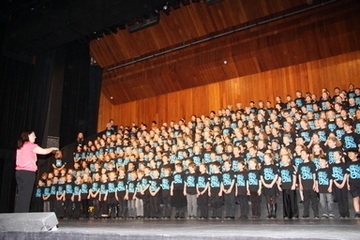 In 2002, one extra concert was added to the regular nine, to cater for increased participation and provide additional tickets for parent audience. The Festival Committee is elected at the Annual General Meeting in November. All teachers are welcome to attend regular term meetings and participate as committee or production crew. The Festival supports Stewart House and donates some of its funds to this worthy cause. Sufficient funds are retained for recurring general working expenses for the year.